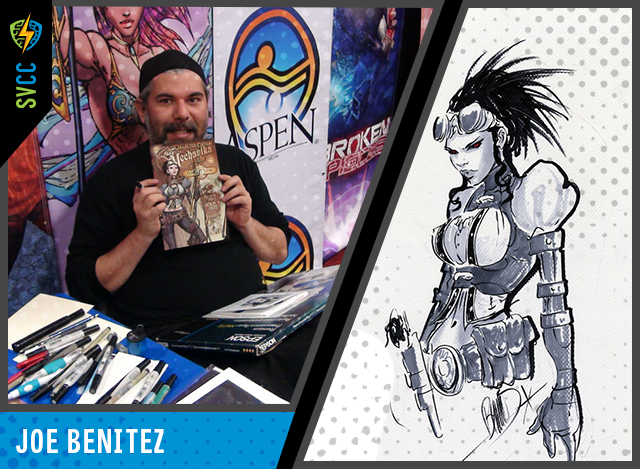 Joe Benitez is the creator/writer/artist of the best-selling steampunk comic “Lady Mechanika”. Known for his intricate designs and dynamic layouts, Joe’s art has been featured in several popular books including “Titans”, “Superman/Batman”, and “Supergirl” for DC Comics; “Magdalena” and “The Darkness” for Image Comics, and “Soulfire” for Aspen Comics. He was also the co-creator of the sci-fi epic “Weapon Zero” and the urban fantasy “Wraithborn”.